Do you experience uneven cooling in your multi-story house? You are not alone. This is a common issue during summer where air conditioning is a necessity. Don’t worry; we have expert solutions for this issue. But first, it is good to know what causes the uneven cooling in your home. Read below and find out! We bet the first thing that comes to your mind is you need to have your air conditioning unit repaired. While that can be a possible solution, other things can also cause the inconsistent temperature in your home. Blocked Vents. When furniture and other debris are blocking the vents, air circulation through the different parts of your home is compromised. During your routine inspection, be sure to clean the vents and remove equipment that is blocking the airflow. Leaky Ducts. When the ducts are filled with holes and cracks, the air that passes through it will leak out. Therefore, there will not be enough cool air that reaches your home. Aside from giving you poor comfort, leaky ducts can also increase your energy bill. Be sure to ask for professional help to fix the issue. Poor Insulation. When your home is not properly insulated, it will not be able to keep cool air inside. During extreme temperatures like summer and winter, it is important to put proper insulation in your home, especially the attic. This will prevent hot and cold spots and save you on your energy bill. This may include fixing leaky ducts, replacing air filters, cleaning the components and many more. When your HVAC system is in a good state, you should expect that it will give you the best comfort in your home. Sometimes, air conditioning units find it hard to give an equal temperature because of the large area of the house. If you have a multi-story home, it is best to invest in a zoning system. It allows you to control the temperature of each part of your home based on your preferences. This will not just give you a comfortable place to stay, but it will save you a lot of energy usage. 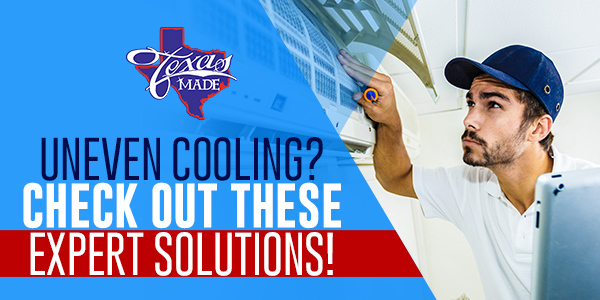 If you are planning to apply these suggestions but still doubt the benefits, feel free to talk to our experts at Texas-Made Air Conditioning and Heating. We will give you the complete and honest details about the procedures. You can also schedule a service with us. Give us a call, and we’ll be there in no time.